Did you forget a person or two who should’ve been on your Christmas gift list? Don’t worry, we won’t tell if you don’t. Lucky for you, there are still tons of great last-minute gifts on Amazon that will be delivered with more than enough time to spare to give as gifts on Christmas. Two of the best ones happen to be made by Amazon itself. 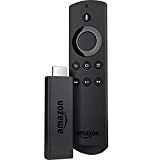 One is the Echo Dot, which is on sale for just $19.99 right now, and the other is the Fire TV Stick, which is down to $24.99 from its normal price of $39.99. Both are Amazon best-sellers that will be appreciated by anyone who receives them, so grab one now instead of running out and dealing with the chaos of last-minute Christmas shopping.